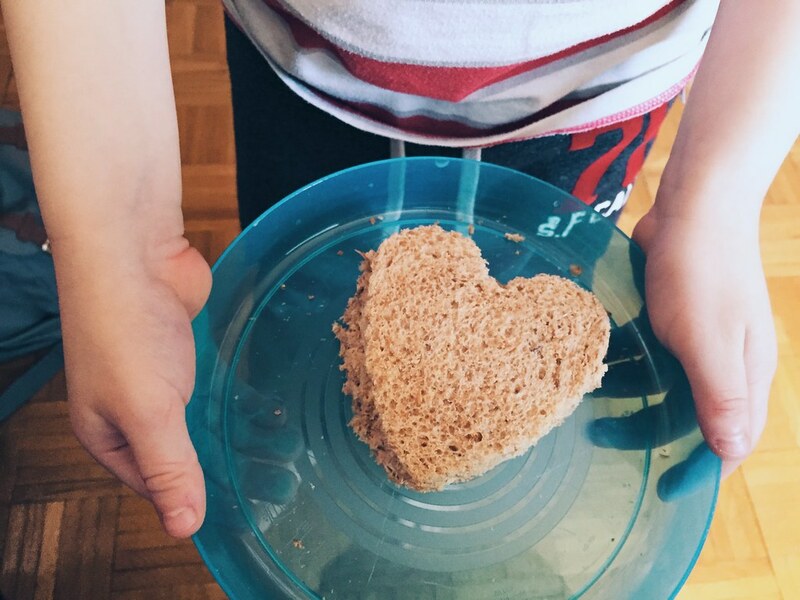 Bethany always does something special on Valentine’s Day, especially for the kids. 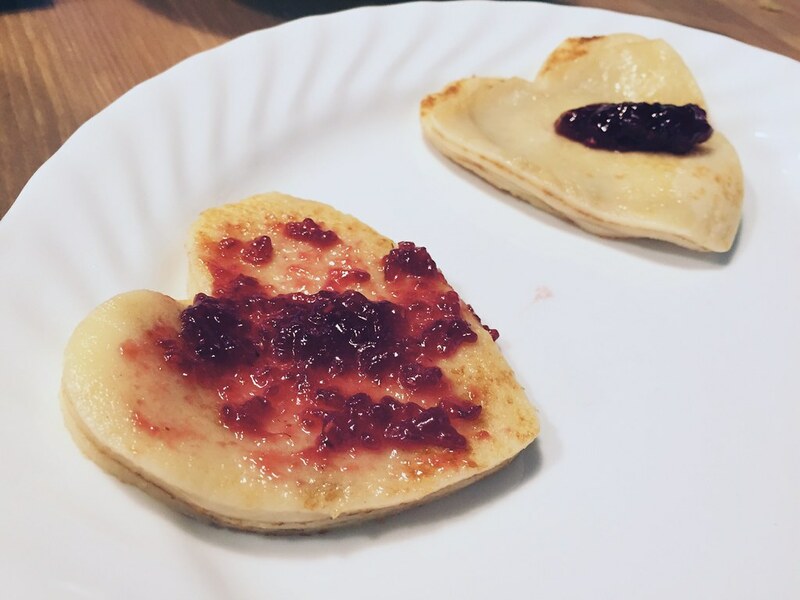 It started this morning with heart shaped Swedish pancakes (above) and this afternoon it was heart shaped peanut butter and jelly sandwiches (below). It was really fun and the kids are always so excited to have different shaped food. Beyond the food, we didn’t do much else today for V-day other than rest. The kids are still getting over being sick so their noses are running and they’ve got lingering coughs. I had fun playing with them in their Thomas the train tent thingy and we all snuck in some early afternoon naps which was nice. 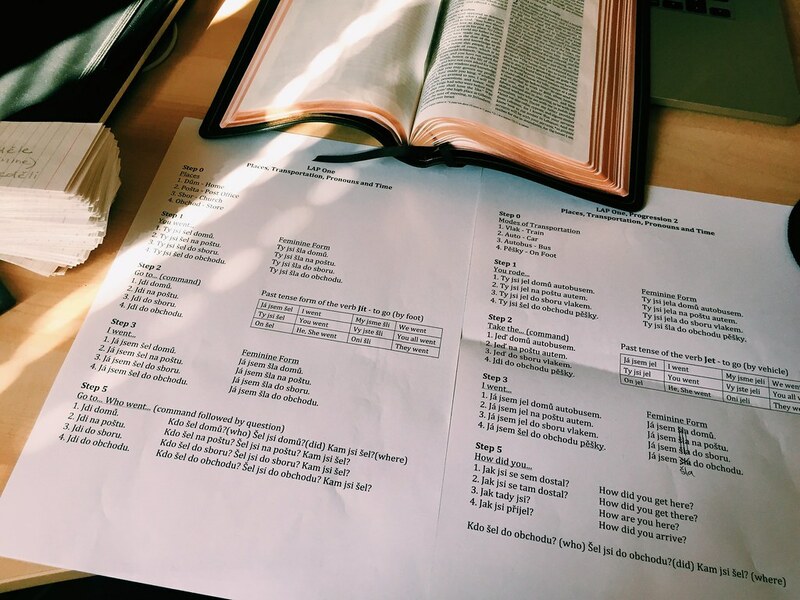 After lunch I spent some time reading my Bible and studying a little bit of Czech. I’m really not trying to allow any day to go by where I don’t spend a least a few minutes working on Czech, even if it’s just reviewing or going over my vocabulary flash cards. I WILL learn this language! Speaking of language, I had the opportunity to join our church’s youth at their English Camp meeting this afternoon before youth group tonight. 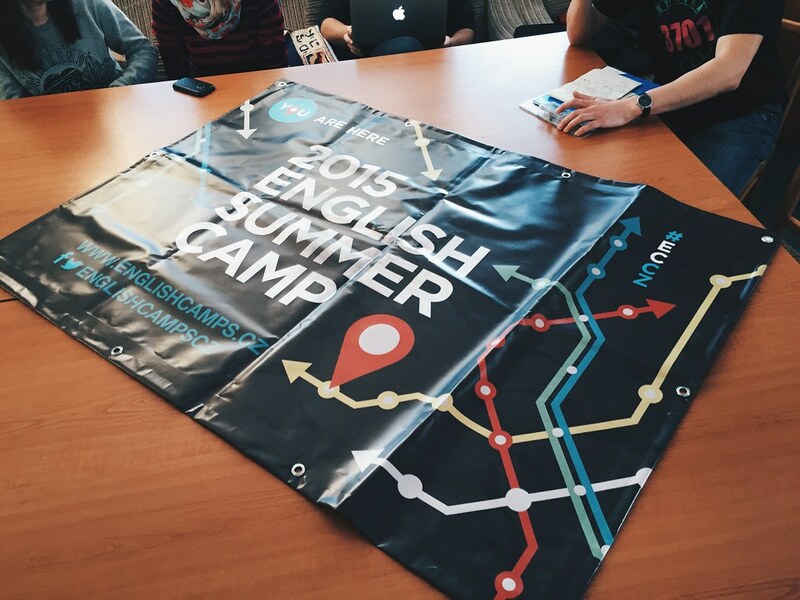 They are gearing up for the summer ministry and camp is a big event for them. The entire meeting was done in the Czech language, but one of the young people (his name is Daniel) was kind enough to translate for me. This year’s theme is “You Are Here” and follows the life of Paul in the book of Acts. Basically, the idea is that you might be at one place in your life, but you shouldn’t stay there. God is calling you to “move” from the place you are to where He wants. My team at Josiah Venture helped create this year’s theme and my church had a poster we did out on the table during the meeting (below). The one thing that struck me today during the meeting was that these young people love to pray. You would think a big camp meeting would be a bunch of planning, but it was actually minimal today. Mostly, they wanted to meet and pray AND plan to pray more. Not only did we spend an extended time asking the Lord to bring many unbelievers to camp, but later they setup a time that on Wednesdays at 9:30pm they would all seek to pray either together or alone for the camp…every single week until the summer. 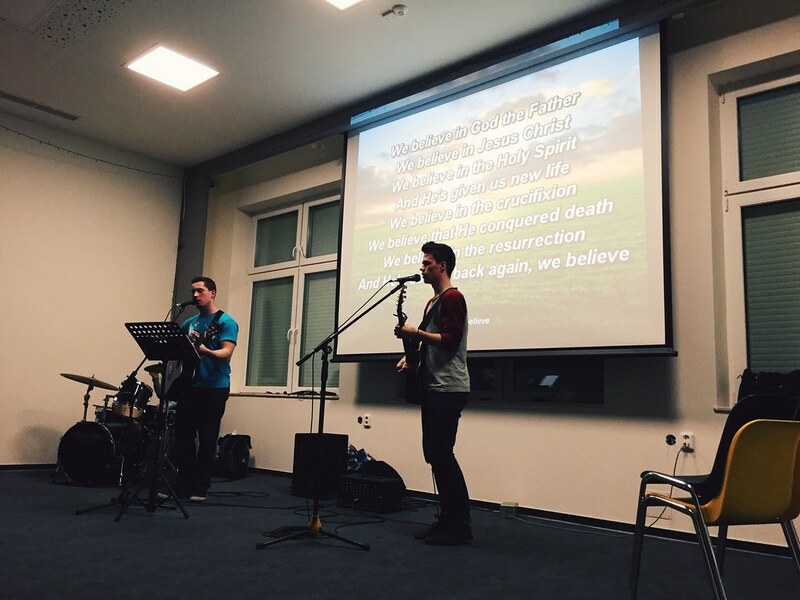 Ondra, the leader of the youth ministry, gave them a charge to continue to pray and stay in the Word of God as they prepare for the summer ministry. I was encouraged and challenged. Here’s a photo I got as they all prayed in their native tongue. At youth group tonight (after the camp meeting), we spent more time in prayer. I was able to sit with the two young men, Ondra and Marian (who lead the music), and listening to them share their hearts was just incredible. Marian shared that his vision is to see another 35-70 young people join the youth ministry through evangelistic efforts. He said he wants to go out in to the community with the other youth from the church, play music, share the gospel, and invite young people to church. I’ve been doing youth ministry for a while now and I don’t remember an 18-19 year old with that kind of vision. Not only that, he setup a time next week to do just that and has sent out invitations on Facebook, inviting lots of unbelievers. We prayed they would come next week. Lord, make it so. I had a great time building relationships with the youth at our church and I left so encouraged. Their heart to see their community reached with the gospel is inspiring. Their passion to see Christ exalted is exhilarating. And their desire to pray and bring it all to the Lord is humbling. Do I pray like that? I couldn’t help but think, “What happens when the youth pray like this?” What happens when the young people take the gospel to their unreached friends with fervor and compassion? I have no doubt it’s like a fire that can’t be stopped. Oh sure, Satan with do whatever he can to stop it, but we serve the King! The war has been won by the Savior and we can all go out boldly. When young people pray like this, asking for God’s help and His grace, I know God will give it in abundance. Pray with us for these youth. I was so encouraged by them tonight and we want them to see their vision realized. In the end, it means more souls in the Kingdom of God and all glory to the King of Kings.